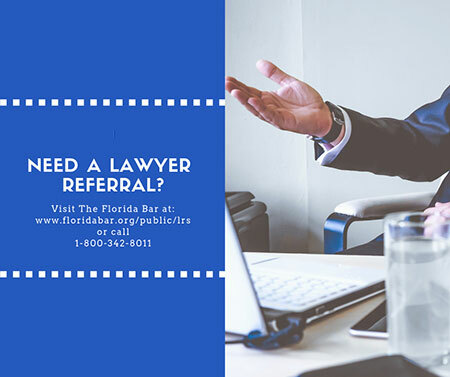 The Florida Bar Lawyer Referral Service (LRS) provides referrals to attorneys who will conduct an initial half hour client consultation for no more than $25.00. Participating attorneys are required to: Submit an extensive application to the service panel; Be a member in good standing of The Florida Bar having no pending probable cause complaints; Carry professional liability insurance with limits of not less than $100,000. 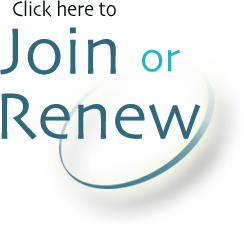 LRS has also established Low Fee, Elderly, AIDS Law, and Disability Law panels for clients in need. The initial half-hour office consultation for these specialty panels is free. In conjunction with its existing operator-assisted, toll-free Lawyer Referral Service (1-800-342-8011), The Florida Bar has developed an online Lawyer Referral Service. Visit their website for more information. Any person who resides in Manatee County or whose legal problem is located in Manatee or Sarasota County may apply for assistance. Applicants who meet case eligibility guidelines and whose household income and assets are within 150% of the federal poverty guidelines (125% for family law) will be considered. Legal Aid of Manasota offers a Pro Se Divorce Clinic for income eligible people who would like to learn how to represent themselves in a divorce proceeding. This clinic is taught by attorneys, and forms are provided. Held in Sarasota. Seniors, age 55 an over, or the terminally ill may qualify to obtain a will, power of attorney, or designation of health care surrogate without charge. Legal assistance is also provided to individuals with AIDS or who are HIV positive. CRIMINAL REPRESENTATION IS NOT AVAILABLE. Legal Aid of Manasota handles civil areas of law including Family Law (limited to domestic violence, child abuse and/or neglect, custody with domestic violence issues), Guardianships, Bankruptcy (to preserve your home), Wills (55 years +), Housing Law, Consumer Law, Probate, Public Benefits, Employment, Disability & Child Support. Gulf Coast Legal Services provides free legal representation to poor and elderly people (persons over the age of 60, or persons who are caring for person over the age of 60) within Pinellas, Manatee, and Sarasota Counties. Its on-staff attorneys represent domestic violence victims and help them obtain a divorce or custody of their children, defend foreclosure actions against elderly people, aged 60 or older, provide advice and brief services on all issues of consumer, landlord tenant, rights of mobile home owners and will prepare simple Wills, Powers of Attorney, Living Wills, Healthcare Surrogate POA’s and other estate documents for no fee. Seminars are also provided regarding the rights of mobile home owners for the 86 mobile home parks in Sarasota and Manatee Counties. The Bradenton office holds clinics every Wednesday evening beginning at 4:00 p.m. to provide legal services specifically to those persons who are caregivers to anyone over the age of 60. (The caregiver can be any age). Staff also assists in such areas as restoring driver’s licenses, reconnecting utilities, tax problems, food stamps, employment issues for the elderly and immigration issues for anyone of any age. Criminal representation is not provided.